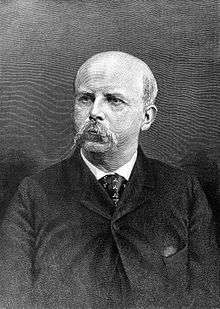 Thomas Corwin Mendenhall (October 4, 1841 – March 23, 1924) was an American autodidact physicist and meteorologist. Alongside his work, he was also an advocate for the adoption of the metric system by the United States. Mendenhall was born in Hanoverton, Ohio to Stephen Mendenhall, a farmer and carriage-maker, and Mary Thomas. In 1852 the family moved to Marlboro, Ohio a Quaker community outside of Akron, Ohio. His parents were strong Abolitionists and frequently opened their home to escaped slaves heading north along the Underground Railroad. Mendenhall became principal of the local primary school in 1858. He formalized his teaching qualifications at National Normal University  in 1861 with an Instructor Normalis degree. While living in Columbus, Ohio he married Susan Allan Marple in 1870. The couple had one child, Charles Elwood Mendenhall(1872-1935), teacher and chairman of the Physics Department at University of Wisconsin-Madison for 34 years. He taught at a number of schools in Ohio including Central High School (Columbus, Ohio) gaining an impressive reputation as a teacher and educator until 1873 when, although lacking conventional academic credentials, he was appointed professor of physics and mechanics at the Ohio Agricultural and Mechanical College. The College ultimately became Ohio State University, Mendenhall being the first member of the original faculty. He was later awarded the first ever Honorary Ph.D. from Ohio State University in 1878. He became professor at the US Signal Corps in 1884, introducing of systematic observations of lightning, and investigating methods for determining ground temperatures. He was the first to establish stations in the United States for the systematic observation of earthquake phenomena. Resigning in 1886, Mendenhall took up the presidency of the Rose Polytechnic Institute in Terre Haute, Indiana before becoming superintendent of the U.S. Coast and Geodetic Survey in 1889. During his time as superintendent, he issued the Mendenhall Order and oversaw the consequent transition of the United States's weights and measures from the customary system, based on that of England, to the metric system. Mendenhall remained a strong proponent for the official adoption of the metric system all his life. Also, as superintendent of the U.S. Coast and Geodetic Survey, he was also responsible for defining the exact national boundary between the United States (Alaska) and Canada. The Mendenhall Valley and glacier in Juneau, Alaska was named for him in 1892. 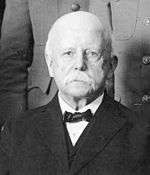 Mendenhall was appointed president of the Worcester Polytechnic Institute from 1894 until 1901 when he emigrated to Europe. He returned to the United States in 1912. He was appointed to the Board of Trustees of Ohio State University in 1919, and is remembered for his successful efforts to close the College of Homeopathic Medicine and his unsuccessful effort to limit the capacity of Ohio Stadium to 45,000 seats, contending that it would never be able to fill to its design capacity of 63,000 seats. He continued to serve as a trustee until his death at Ravenna, Ohio in 1924. His portrait is currently part of the Smithsonian Institution National Portrait Gallery in Washington D.C.  painted by his former pupil Annie Ware Sabine Siebert, who was the first recipient of a Master of Arts degree from Ohio State University in 1886, and one of the first women to earn an architecture degree from MIT in 1888. 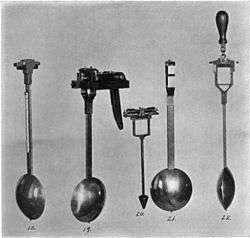 In 1887 Mendenhall published one of the earliest attempts at stylometry, the quantitative analysis of writing style. Prompted by a suggestion made by the English mathematician Augustus de Morgan in 1851, Mendenhall attempted to characterize the style of different authors through the frequency distribution of words of various lengths. In this article Mendenhall mentioned the possible relevance of this technique to the Shakespeare Authorship Question, and several years later this idea was picked up by a supporter of the theory that Sir Francis Bacon was the true author of the works usually attributed to Shakespeare. He paid for a team of two people to undertake the counting required, but the results did not appear to support this particular theory. It has however since been shown by Williams that Mendenhall failed to take into account "genre differences" that could invalidate that particular conclusion. For comparison, in 1901 Mendenhall also had works by Christopher Marlowe analysed, and those supporting the Marlovian theory that he was the true author seized eagerly upon his finding that "in the characteristic curve of his plays Christopher Marlowe agrees with Shakespeare about as well as Shakespeare agrees with himself." The Mendenhall Laboratory on the campus of The Ohio State University is also named in his honor. ↑ "National Normal University, 1893 Alumnal Roster, Lebanon, Warren County, Ohio". www.rootsweb.ancestry.com. Retrieved 2016-09-24. ↑ "National Academy of Sciences - Biographical Memoir - Obituary" (PDF). ↑ "Dead body + electricity = spooky experiment conducted by first faculty". 2014-10-31. Retrieved 2016-09-24. ↑ Hyakumeizan, Project (2011-06-26). "One Hundred Mountains: The o-yatoi who weighed the earth". One Hundred Mountains. Retrieved 2016-09-24. ↑ "Albert A. Michelson - Biographical". www.nobelprize.org. Retrieved 2016-10-03. 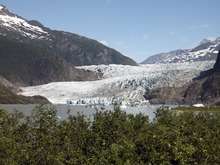 ↑ "Mendenhall Gravity Pendulums". National Museum of American History. Retrieved 2016-09-24. ↑ "National Portrait Gallery - Mendenhall Portrait". Mendenhall, T. C. (1887). "The Characteristic Curves of Composition". Science. IX (214): 237–248. doi:10.1126/science.ns-9.214s.237. Crew, H. (1934). "Thomas Corwin Mendenhall". Biographical Memoirs of the National Academy of Sciences. 16: 331–315. Joncich, G. (1966). "Scientists and the schools of the nineteenth century: The case of American physicists". American Quarterly. 18 (4): 667–685. doi:10.2307/2711389.